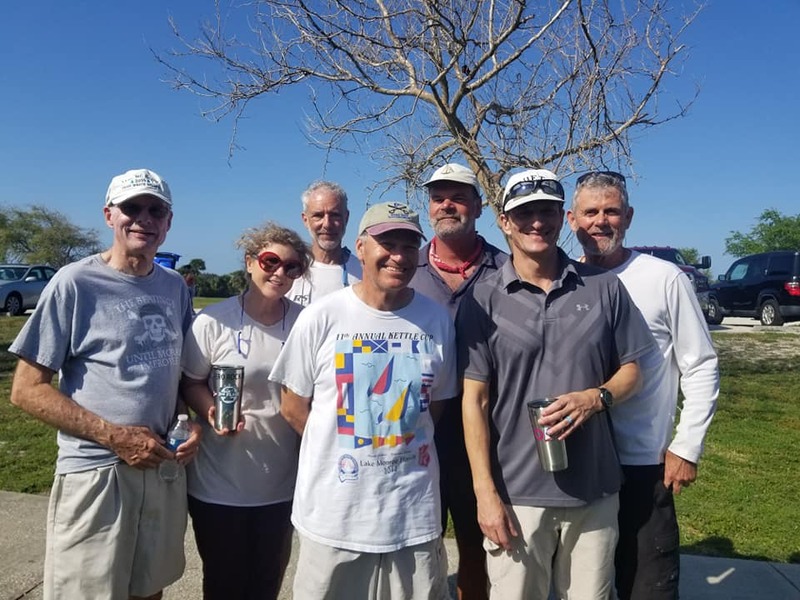 A new event for 2019, 11 RS Aeros competed out of Kelly Park in Merritt Island, Florida, March 9/10th as part of the RS Aero US Winter Series, supported by KO Sailing. Following an excellent pre event clinic on the Friday the weather forecast for Saturday looked to be fairly light but the short sail from the beach to the racing area meant that once the Race Committee was sure we would be able to go, we didn't have to go far or wait long before they could start a race. While the first race of the day was quite light, clouds forming over land meant that the sea-breeze would build throughout the day. The second and third races were both sailed in around 6-8 knots of breeze and light chop. Enough to get sailors hiking and starting to de-power, and for the new to the RS Aero charterers to see what the boat is really about. 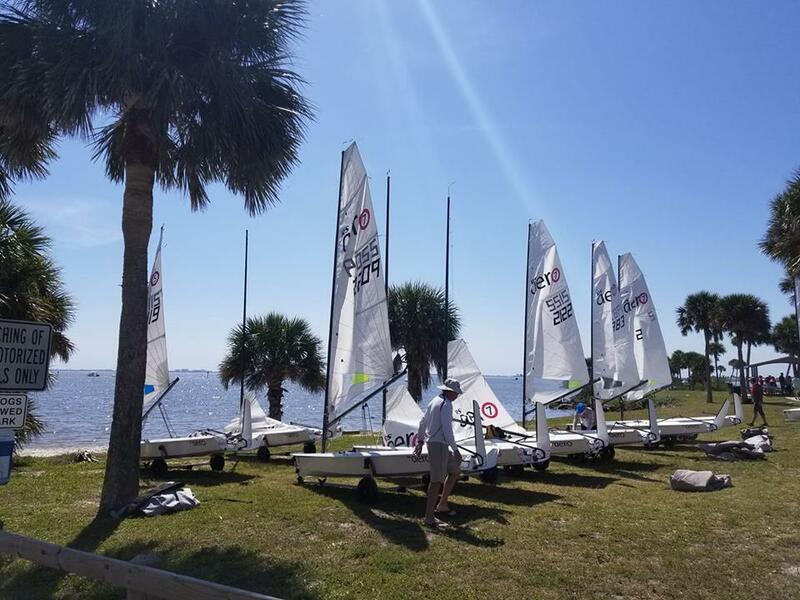 The fleet chose to sail with RS Aero 7 rigs except for one smaller sailor, Patrick, who chose to sail with an RS Aero 5. Despite sailing with the smaller than usual rig for him, Marc Jacobi showed his typical consistency with a pair of bullets on the first day. J70 sailor Doug Struth visiting from England was quite quick and consistently in the top 3. Bob Patterson seemed to need to shake the lead out on the first race (and again need to on the first race of the second day as well), finishing with a pair of deuces. We were sailing a trapezoid course, which worked well for the fleet. Not only did we get some reaches in, we were clear of the Flying Scots who we were sharing the course with - we had no problems sailing downwind and getting blanketed by their tall main and spinnaker. This was a great decision by the Race Committee and something we can consider moving forward when required. Day 2 dawned sunny and warm again, looking like a better water skiing day than a sailing day. After sailing out, the clouds over land began to form and the sea-breeze was again on board for the day. After a light air first race, the next two were in glorious conditions. Patterson finished up with a pair of bullets to get within a point of Struth (after taking the first race to wake up or get situated). Jacobi was right there with straight 3s to eke out a first just 1 point of Struth. That's right, the point totals were 11, 12, 13 for the top 3. Close, fun racing indeed!